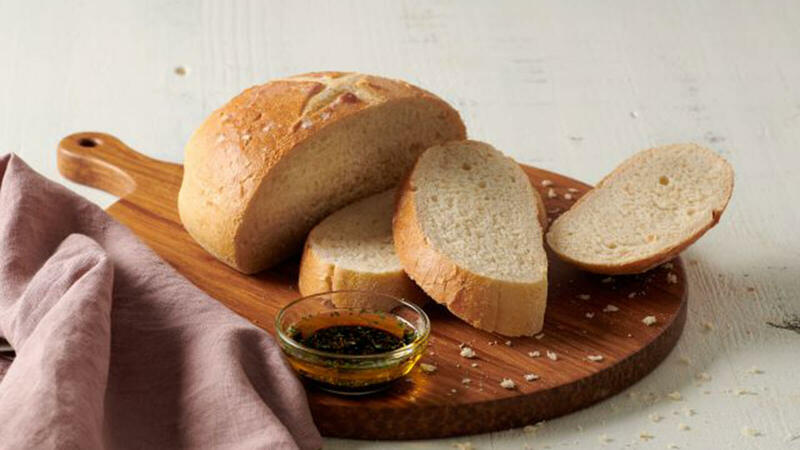 Explore a world of flavors with our new artisan breads. 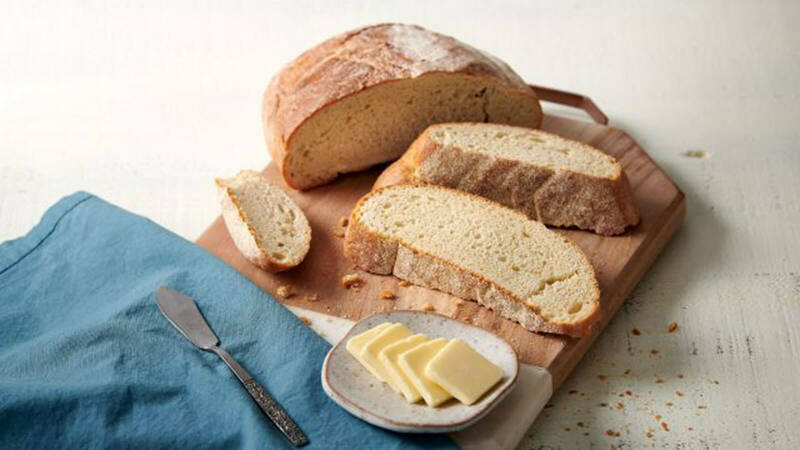 No meal is complete without fresh, delicious bread. The best way to round out any meal? Bread, of course! Whether you’re dipping it in a blend of herbs and olive oil, toasting it with garlic and butter or using it to sop up soup, classic bread is always beloved at the dinner table. 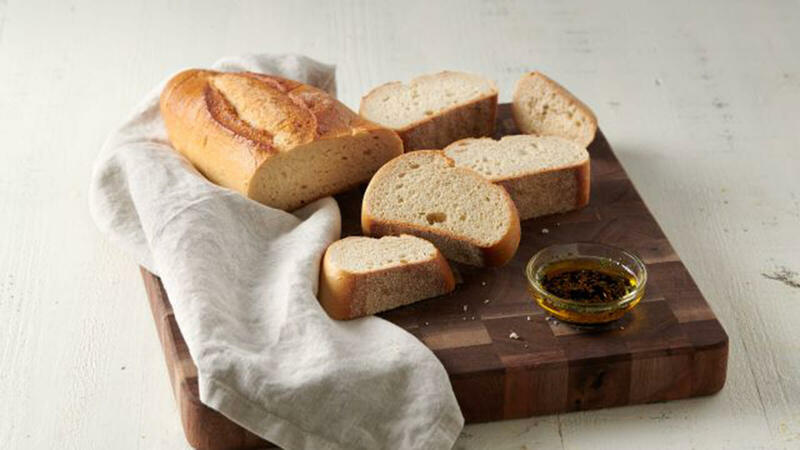 Our new artisan breads give you traditional, homemade flavors fit for any feast. Crusty on the outside, soft on the inside and 100% delicious. 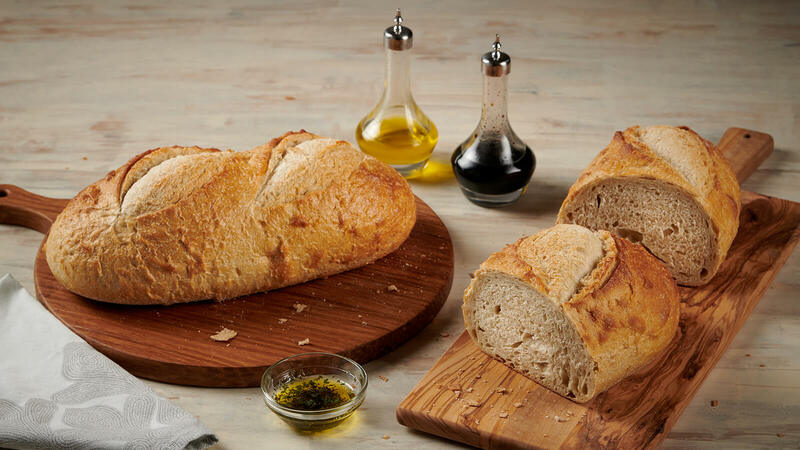 Discover classic baguettes, multigrain loaves, ciabatta, focaccia and everything in between. This traditional Italian loaf is dusted with flour, giving it a rustic appearance. A prolonged fermentation at cool temperatures and a long, slow bake create a slightly sour taste and characteristically thick crust. Crafted using all-natural leavenings and simple, high-quality ingredients. 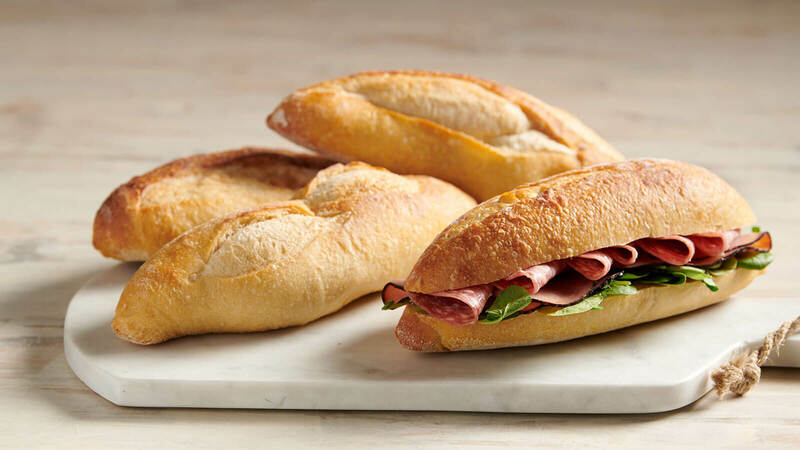 Perfect for sandwiches, our Pane Toscano is a traditional, family-sized Italian loaf made with all-natural leavenings and premium ingredients. 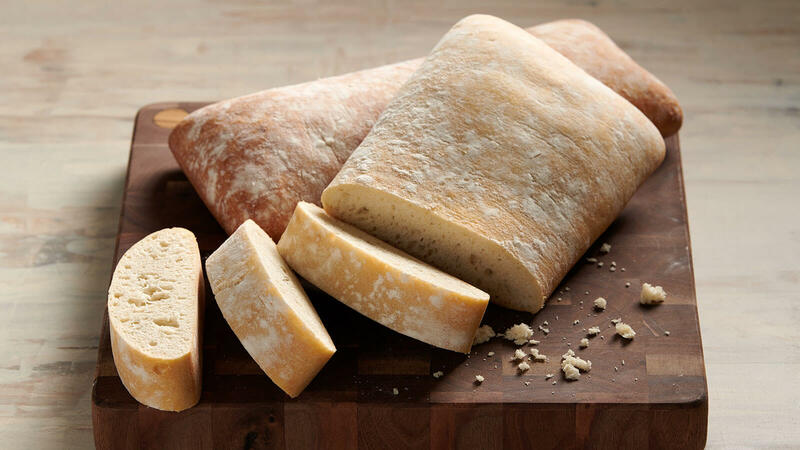 The crust is delightfully crisp, and the interior is characterized by an airy, moist crumb. Its flavor is mild and earthy, and its impressive size makes it ideal for sharing with family and friends! Olives and bread, what could be better? 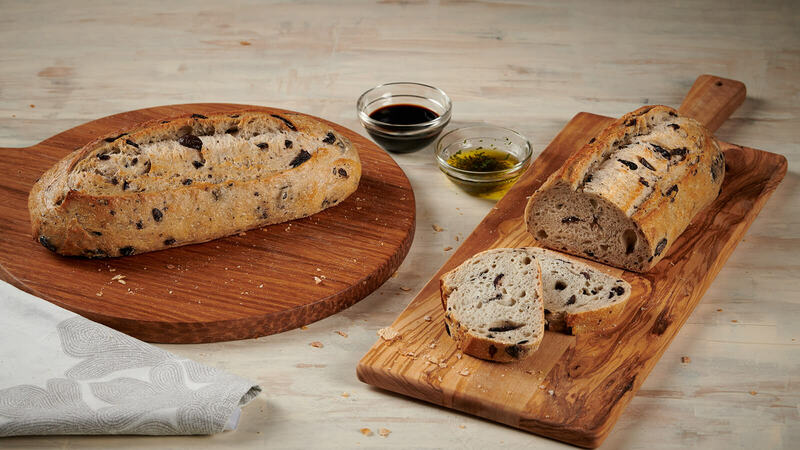 Like our Pane Altamura and Pane Toscano, our Kalamata Olive Bread is made with all-natural leavenings and only the finest ingredients. Each dense loaf is studded with flavorful olives, slowly fermented and baked to lock in the flavors. We bake our Traditional Italian Bread in store twice daily. 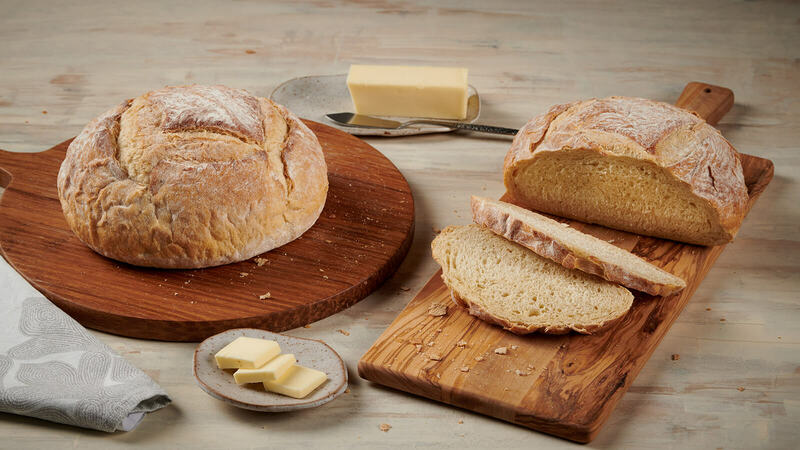 Each loaf is crafted with quality, authentic ingredients for a delicious flavor and texture you’ll love. This crowd-pleasing bread is crispy on the outside, with a light, flavorful middle—what more could you want? In Italy, semolina bread is known as pane di semola and is often made for special occasions. We bake ours in store twice a day with semolina flour and sesame seeds. It’s soft and chewy, with a rich golden brown color. Perfect for sopping up soups, pan sauces, gravies and more. Our baked-in-store Rustic Panella is a classic Italian bread that tastes as good as it looks. Scored dough makes for a pretty presentation, and two batches baked daily means you can count on freshness. Simply slice and serve with your favorite dipping oil or place in a basket to pass around the table. A hearty, multigrain version of our traditional French boule bread—baked fresh in store twice per day. Its flavors are slightly nutty, with a satisfying texture. The boule, French for “ball,” is a traditional shape of French bread and one of Europe's most popular and traditional breads. Our Mountain Bread is baked fresh in store twice daily. It’s a hearty, classic white bread in a beautiful boule shape. Try it sliced, toasted and spread with butter, topped with jam, paired with cheese or stacked with your favorite sandwich ingredients. 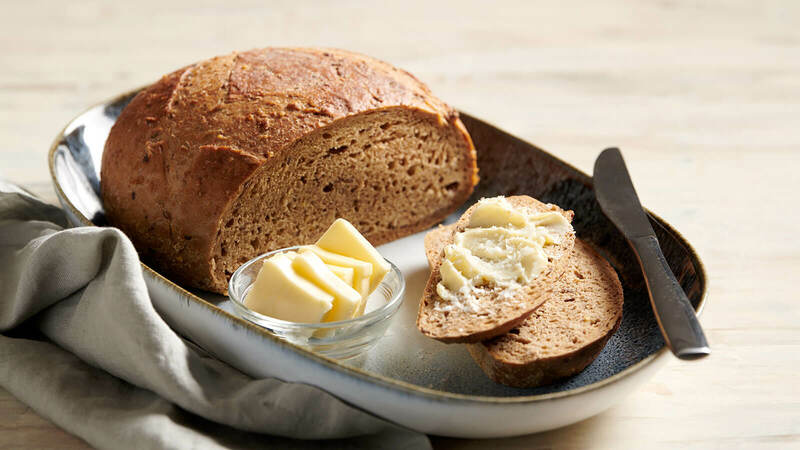 Our classic pumpernickel bread makes a lovely addition to any dinner table. We bake each boule in store, starting early in the morning and baking again in the afternoon, so you can enjoy fresh-baked flavor. 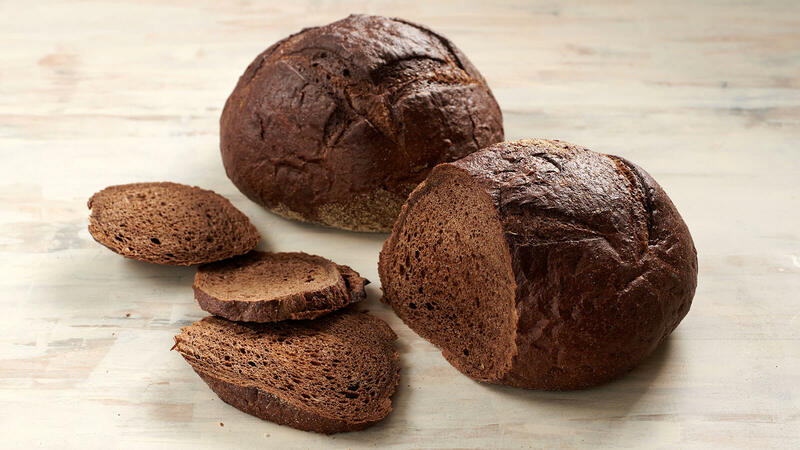 Traditionally from Germany, pumpernickel bread is a heavy, slightly sweet rye bread perfect for sandwiches. 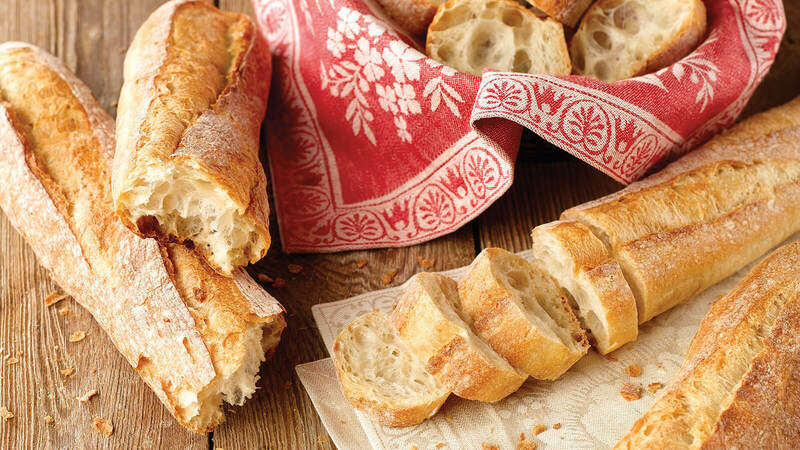 Our baked-in-store Artisan Baguettes are made with poolish, a starter that gives bread a moist, open crumb and subtly sweet flavor. You can count on freshness whether you shop in the morning or afternoon. Slice them for cheese board accompaniments, gourmet sandwiches, starters, soup sidekicks and more. Ciabatta is a popular Italian bread, first crafted in 1982 as a response to beloved French baguettes. It’s open-textured with a floury crust and tender interior. Our stores bake two batches per day for you to enjoy. Try it sliced and served with olive oil, salt and pepper for dipping, or use the slices to make grilled panini sandwiches. An authentic, baked-in-store Mini Pane di Casa, or “Bread of the House.” Chewy, crusty and the perfect accompaniment to any meal. Try it as a lunch or dinner side dish, paired with cheese and dips or topped with garlic and butter and toasted to perfection. 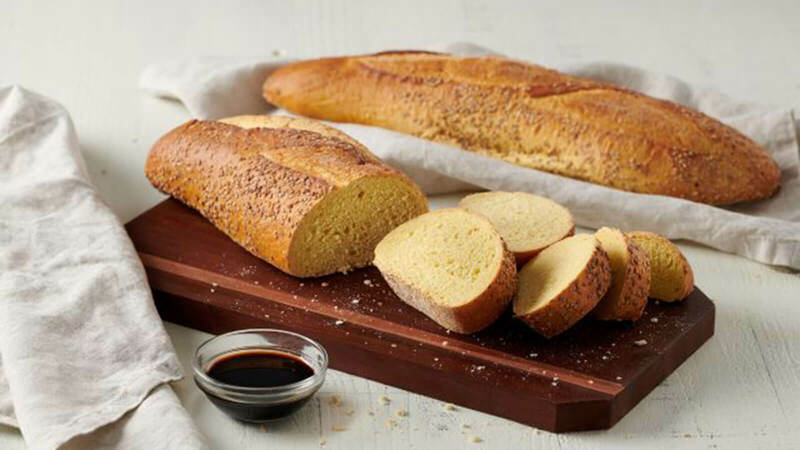 A perfectly petite version of the classic French baguette. We bake our Mini Baguettini in store twice daily with only the finest ingredients. They’re crusty on the outside, soft and chewy on the inside and perfect for picnics, lunch, dinner, cheese plates and more. Need a quick side for lunch or dinner? You can’t go wrong with our classic, baked-in-store Diamond Rolls! 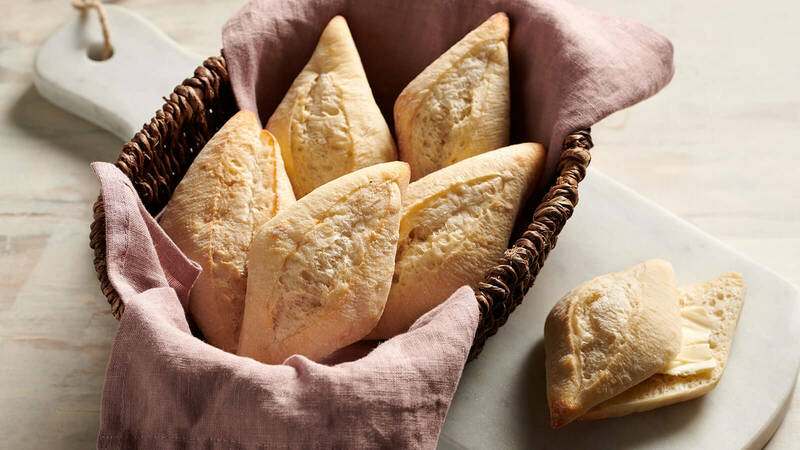 Named for their lovely diamond shape, these rolls are ready to pair with soup, lunch or dinner. Fresh-baked flavor gives them an irresistible homemade taste. If you’re looking for a slightly heartier version of our classic Diamond Rolls, try Ancient Grain Diamond Rolls. 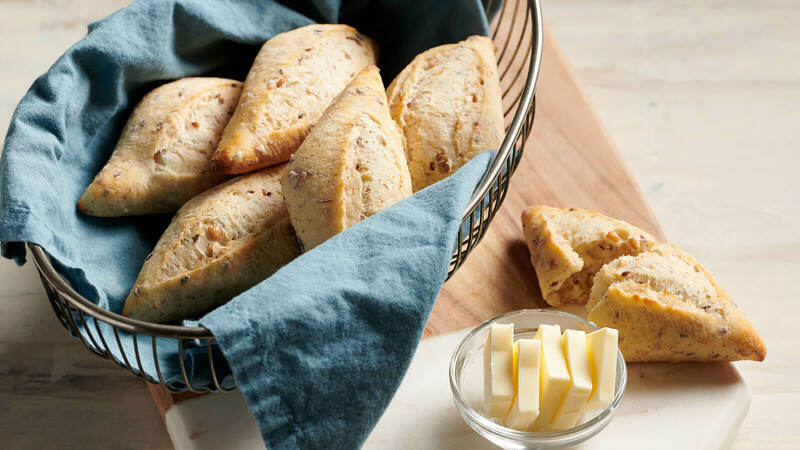 We bake them in store for fresh flavor that tastes homemade (we won’t tell!). Pair them with your favorite meal or slice them open and slather on the butter. 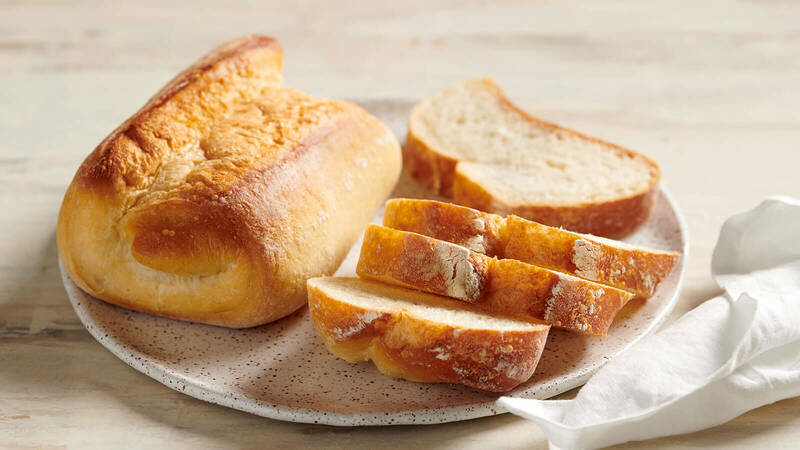 Our baked-in-store Ciabatta Rolls are everything ciabatta bread should be: Crusty, light and pleasantly airy, with a spongy crumb. Enjoy these rolls solo, pair them with soup or add your favorite sandwich toppings for a next-level lunch creation. 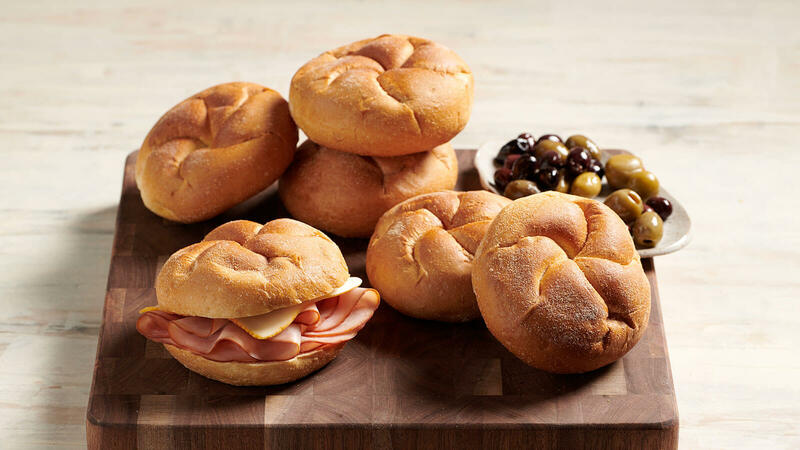 These classic, New York style Kaiser Rolls are perfect paired with soup, salad or any meal of your choosing. They’re also sturdy enough to handle a generous amount of sandwich fixings, so feel free to pile them high and enjoy! 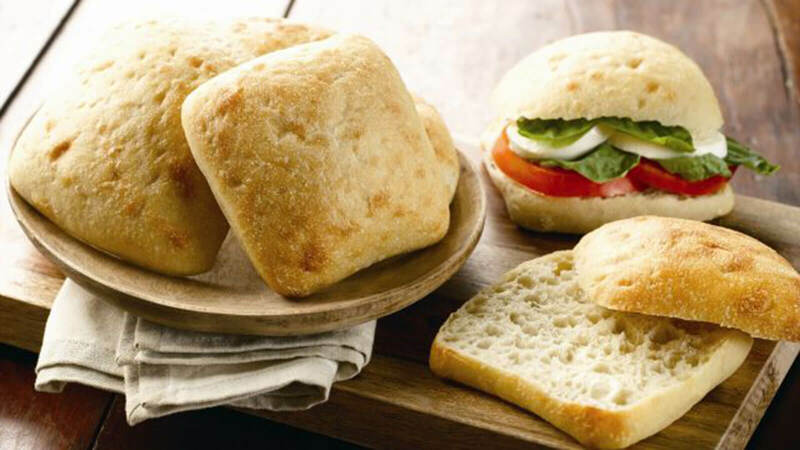 Our Rustic Hero rolls are light, crispy, airy and delicious. 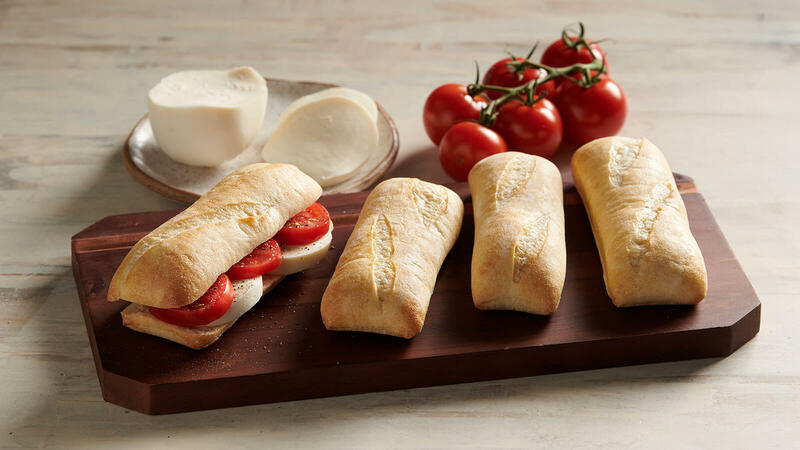 There’s a reason they’re called “hero” rolls—each one is generously sized and sturdy enough for plenty of sandwich ingredients, from sliced ham and turkey to lettuce, cheese, tomatoes and more.